We are one of 1,195 comprehensive community colleges in the United States, which educate 46% of all undergraduate students in the country and award 555,000 associate degrees and 295,000 certificates each year. 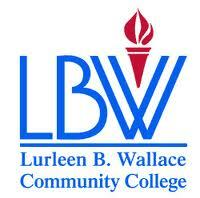 LBW is one of the 25 member colleges of the Alabama Community College System, a leading resource for providing higher education and economic development in our state. LBW is distinguished by an outstanding, competent, and caring professional faculty; relevant programs of study for the real world; and leadership in the communities we serve for enhancing their quality of life through educational and cultural offerings. Our students benefit from a collegiate atmosphere close to home, numerous student clubs and organizations, and special events, such as the Ms. LBWCC Pageants, Saints Day, Blue and White Day, assembly programs, and special performances held in conjunction with the Covington Arts Council. LBW participates in intercollegiate athletics in the National Junior College Athletic Association (NJCAA) in Men's and Women's Basketball, Baseball, and Softball.